Good show today. I give the usual recruiting rundown. I also reveal my top five returning players in the ACC for the 2018-19 season. 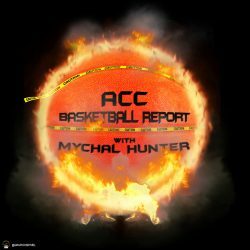 I also talk about my number 11 team in the ACCBR Projected 18-19 standings. Check out the website for the rest of the returning players list, recruiting news and any other random thoughts. Support the show through crowdfund on the podbean page. Don’t forget to like, rate, review, share and retweet the podcast! 5 stars people, cmon.